Aknaf Bait al-Maqdis terrorist group claims rocket attack on Sha'ar Hanegev Regional Council. A Salafist terrorist group from Gaza which is linked to the Islamic State (ISIS) organization claimed Monday evening's rocket attack on southern Israel, Israeli media reported. The reports named the group as Aknaf Bait al-Maqdis. 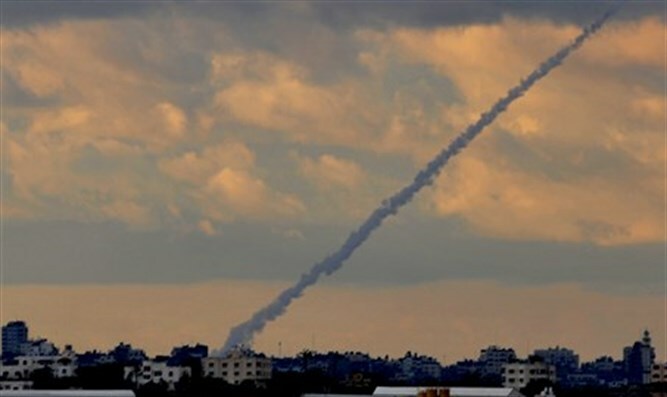 The rocket exploded in an open area near the Sha'ar Hanegev Regional Council. There were no physical injuries and no damage was reported. The Red Alert incoming rocket siren did not sound because the rocket was fired at an open area. The organization has found itself increasingly struggling with these groups for control over the region after having ousted its rival Fatah from Gaza in June 2007. Gaza-based Salafi groups have in the past claimed responsibility for rocket attacks on southern Israel. The Salafist terror organization Majlis Shura Al-Mujahidin has characterized jihad against Jews as “a duty”.